Liaising with the Operational and Academic Management staff regarding all aspects of the course. Helping to enforce school rules and working with the Centre Manager regarding any student disciplinary issues. Assisting school staff, with supervision of their students during off-site excursions and activities. All group leaders will be given a copy of the activities programme. Assisting with any airport transfers that may be necessary due to early / late arrival or departure of students. Encouraging their students to take an active part in the programme and to mix with students from outside their group. Assisting the Welfare Team/Management with accommodation arrangements for their group. Attending Group Leader meetings when required. Caring for students if they are unwell. Is an effective communicator, able to communicate with students, parents and school staff. Has a good level of English – ideally at upper intermediate level or above. Is experienced in working with young learners in a school environment. Displays a responsible attitude and is capable of organising and leading groups of children and teenagers. Is mature, energetic and physically fit. Has a general knowledge of living in the UK and ideally of the location of the centre they will be working in. Holds and can provide current (no more than 3 years old) documentation from the police or similar authority in their own country that he or she is a suitable person the work with under 18’s. What should a Group Leader know before he/she arrives in the UK? UK Child Protection laws and issues. School details – full address, key contacts and emergency contact numbers. A detailed study and activity programme for the first week. Arrival information – where and how the Group Leader and group are going to be picked up, and accommodation arrangements. A clear understanding of the role of the Group Leader, and of the school’s expectations. Rules and school policies for students. The level of supervision required for students. Health and medical facilities at the school. Fire procedures at the centre. Background information about students in the group: medical history, emergency contact details, dietary and any other special needs. The Group Leader should make sure the school has this information beforehand and that appropriate arrangements have been made. Life in the UK (link to – http://www.englishuk.com/en/agents/essential-information/life-in-the-uk).  UK Laws and Safety Issues (link to – Englishuk.com – health-safety). General Information about the Country, the region and the city/town, as well as tips for travellers (link to – www.visitbritain.com).